A firework of shapes and colors. A composition of noble woods, fabrics and natural stones. 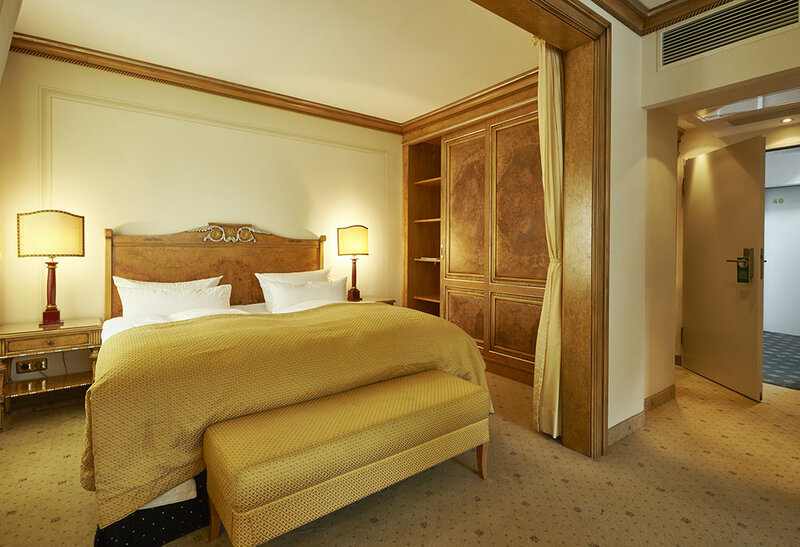 Our Venetian Suite (37 m²), consisting of a combined living and sleeping area, forms the very special frame for your stay in Berlin. The suite has a balcony and is equipped with high quality furniture, air conditioning, double bed (180 cm x 200 cm), large wardrobe, digital TV with radio, W-Lan, sofa & armchairs, minibar, alarm clock and answering machine.